Looking for a simple way to save energy by turning off the lights when no-one's in the room? 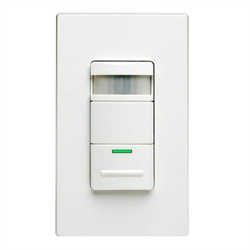 The Leviton ODS10-IDW replaces a standard wall switch, fitting in to a standard decora style plate. 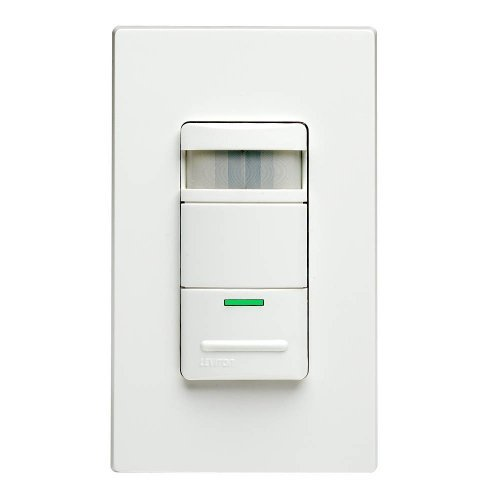 Its built-in PIR motion detector senses when someone enters the room and automatically turns on the lights. The lights will automatically turn off 10, 20 or 30 minutes after motion is no longer sensed (user adjustable). The ODS10-IDW has a 180 degree field of view and 2100 sq feet of coverage.